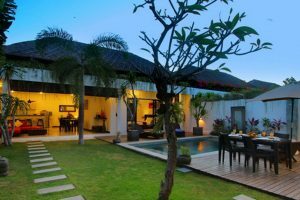 The open plan living area is capped by a traditional alangalang or thatched roof but open to the natural wonders of the private garden. Contemporary décor strikingly contrasts with traditional touches: white walls and dark wood are highlighted with splashes of red cushions and carefully chosen pieces of local art, making the aesthetic speak loudly of uncluttered comfort and style. 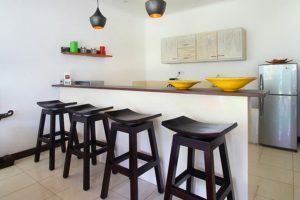 At the forefront of this space is a sitting area with a large coffee table, behind this is a stylish kitchen with a breakfast bar and every modern convenience you might need. 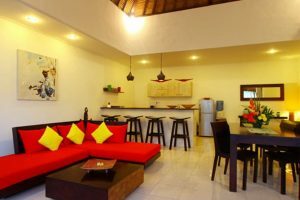 However, with all the splendid eating out options on your doorstep and a little further away in Seminyak itself, it is unlikely you will spend your precious time at the stove! 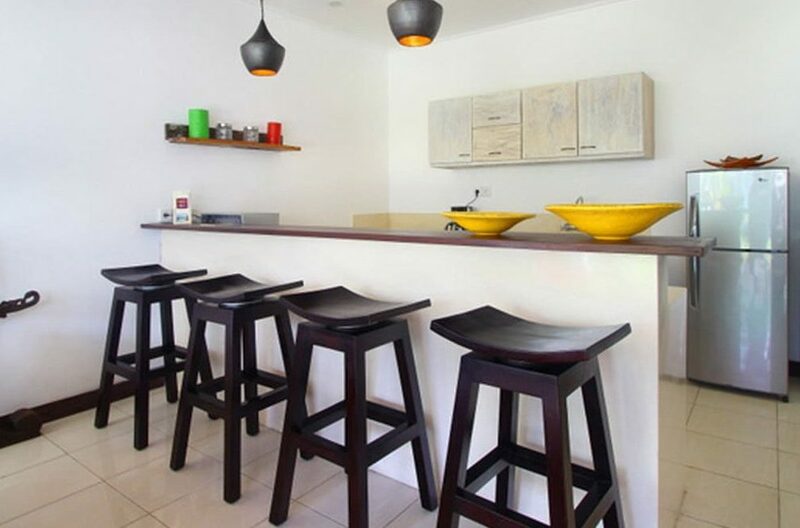 To one side of the kitchen is another dining table should you desire to take your meals inside. 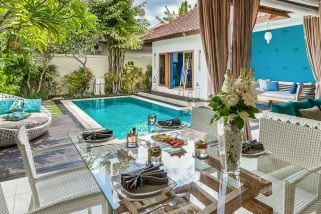 Both the bedrooms overlook the pool area, so you are never far away from the peace and tranquillity of Bali’s natural wonders and your own little oasis. These are stunningly furnished with double beds, crisp linen and are fully air conditioned so your slumbers are sure to be peaceful and filled with dreams of the day’s exploits. 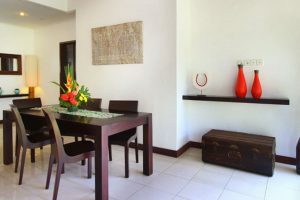 For your entertainment and convenience these are equipped with TV’s and WIFI is available throughout the property. Furthermore, we look after your communication needs by providing a mobile phone with a local number. 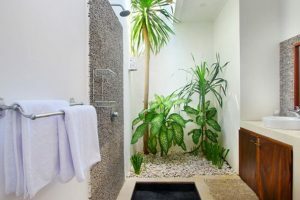 The bedrooms both have their own ensuite bathrooms, which are beautifully designed with petite tropical gardens, so that even in the shower, you are engulfed by the splendour of the great outdoors. 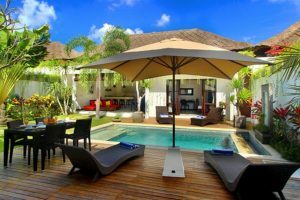 A half day maid service is provided to ensure your domestic needs are taken care of and the villa has night time security. BatuBelighas a ‘village feel’ and is away from the hurly burly of Seminyak proper but close enough, (only a 20 minute drive away) if you desire a bit more action. Moreover, this area has some great places to eat and hang out, such as, La Laguna and Mozaic Beach Club to name but two. 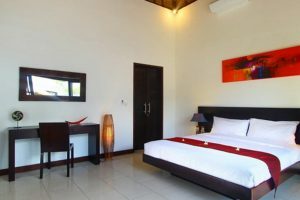 There are also some great beachside warungs where you can try out a local speciality or refresh yourself with a coconut. 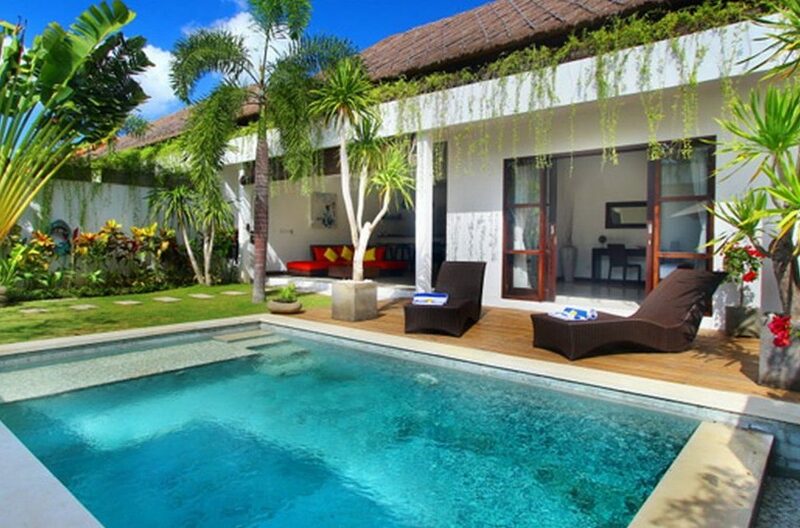 Simply put, this villa has the gift of a perfect location stylishly wrapped in contemporary calm. 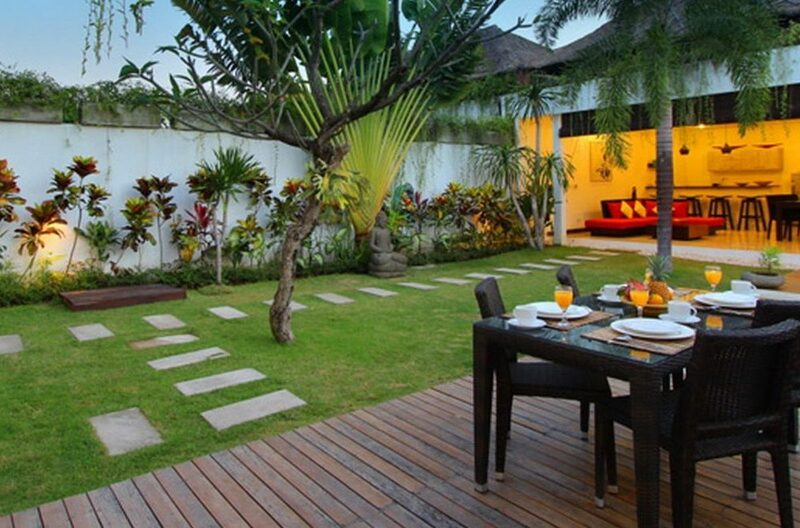 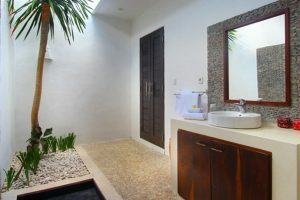 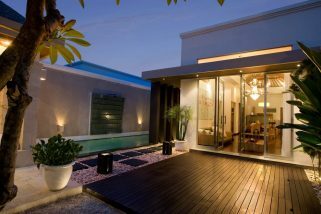 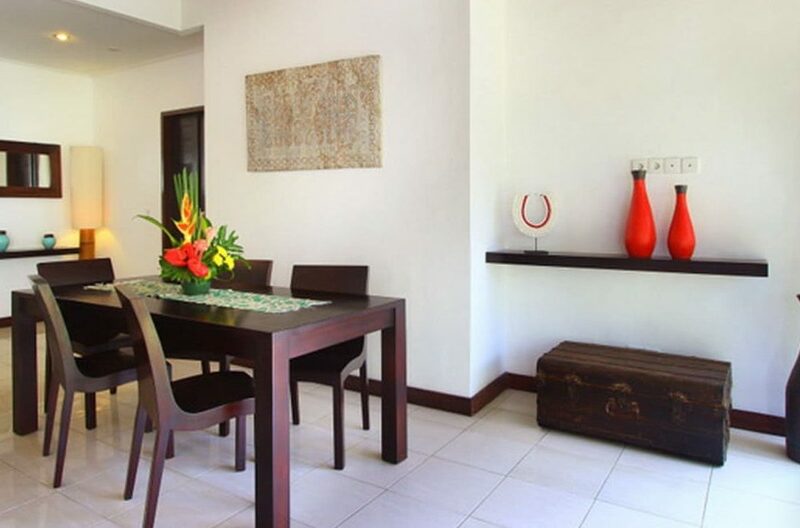 A charming 2 bedroom villa within the exclusive and private 4S Villa Estate at Seminyak Square. 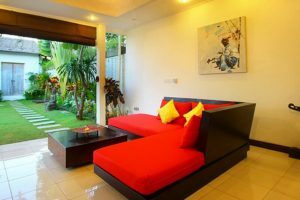 Contemporary design and vibrant interior design make this private pool villa unique, complimented by it’s prime location in the heart of Eat Street, Jalan Oberoi, Seminyak.